The ethics of mitochondrial transfer were overshadowed in the media by the stories of happy parents whose children would not suffer or die. The issues were framed by supporters of the research to make it sound completely benign. However, as opponents pointed out, there are many unanswered questions. For starters, mitochondrial diseases affect about 1 in 6,500 babies – about 200 a year in Britain. While some of these children are seriously ill, others suffer much less and lead productive lives. (It appears that Charles Darwin suffered from a mitochondrial dysfunction.) According to the BBC, only about 10 couples every year would benefit from the technique. This would also be the first time that a government has authorised “full-scale germline genetic engineering”, in the words of Stuart Newman, of New York Medical College. Some scientists flatly deny that the babies would have three parents, because only about 1% of the DNA they inherit will come from its “second mother”. 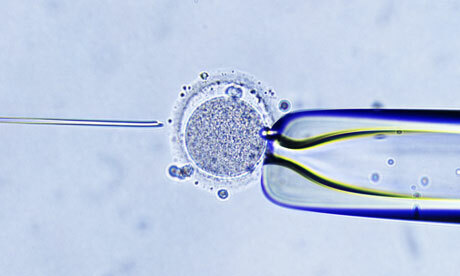 But others argue that it is a vital part of its genetic make-up and that the “three-parent embryo” tag is accurate. Furthermore, research into the mitochondrial replacement will involve the destruction of thousands of embryos. How the vast amount of human eggs are to be obtained for the research programme also involves ethical quandaries. Even the Guardian’s columnist Zoe Williams, a strong supporter of reproductive rights, thought that the ethics of this research had not been studied carefully.